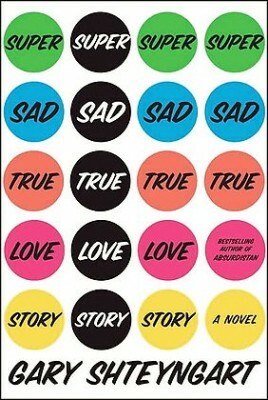 Super Sad True Love Story, Novel. So this guy, Gary Shteyngart… he’s been around for a few years (his first book, The Russian Debutante’s Handbook, was published in 2003), and now is starting to gather some serious writer-momentum. * His latest, the Super Sad True Love Story pictured above, has just come out, and it’s nailing reviews. I have a signed copy, and am proud of myself. You should also probably get a copy. Why? Because Gary Shteyngart is absurd, and probably the funniest contemporary writer around.